Reading, gaming, watching sitcoms and movies, chilling with my son, and all around adult stuff. The Hermit, rekindle the flame? His hunger stirred, maybe he should feed. What was it that was keeping him from feeding? Why was it every time he thought about feeding his stomach knotted up? They were all right, Cerena even scolded him for not feeding. That wasn’t her, but she was essentially apart of him, his living shadow. As that thought crossed his mind, he felt that little twang at his senses. Cerena felt it to, letting out a giggle, “He’ll feed now, it’s gonna be Alex or the student. That and you’re always cranky when your hungry. Trying to distract yourself isn’t healthy either, for both of us.” Dradiro didn’t say a word, Alexa reached up and tugged the ribbon from her neck. “I won’t let you do that, not to her.” The Witch tilted her head. “Besides, you know you hate how men taste.” He took a deep shaking breath, exhaling, shuddering at the though of biting into the other two those icy hues went red. Holding himself back from lunging at Alexa, he took her up slowly. His fangs pierced the skin, she let out faint ‘hmm.’ She has always enjoyed this part, a rush if you will. He could kill her, would he? He never did, she could tell even now he wouldn’t. But it would weaken her immensely, but he made sure to sit her down. “Help me with the ribbon.” She said slowly, her breathing heavy. ”I apologize Alex.” He said as a drop rolled down the front of his lip. She chuckled and held up the emerald colored ribbon. He gently tied it around her neck, she always liked the excess hanging off to tickle shoulder just under. “How far are away is she?” Alexa asked. “Twenty minutes most.” Alexa nodded as Dradiro helped her up. “Tell her I’m taking a nap.” Dradiro took his little blood doll to her bed. After he laid down Alexa, Dradiro went, “Why do you fear the kingdom m’lord?” “My Sire opposes them, I don’t particularly agree with their politics either but not to her degree.” He sighed, “The sins of the maker might get taken out on the turned.” He wasn’t sure that was true or not but he didn’t like chancing it for his witches sake. He slipped from the room to let her sleep, as he left the room, making sure to tidy up the living area of the home. Who wants to assist me in my revival? Take your time, me and Lion can interact til you can post. 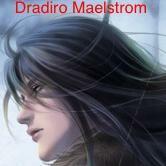 Dradiro had been somewhat forced to flee his home just outside of Osiria’s capital, war had broken out. He for one didn’t feel the real need to serve either side so he fled. Holding no real alliegence he headed to Izabal, still staying towards the outskirts. He had found a home close to the mountains, no real neighbors to speak of, Perfect. It took him awhile to settle in, luckily three of his servants came with him. The witch in particular he favored, though he wasn’t unneccesarily rude and hateful to the other two males. There was a basement, two bedrooms, one and a half bathrooms, kitchen and living area. Barely enough space for his books, but those enchanted bags his witch made were quite useful, it was her blood he sought the most though over her skills. There was a small area in their back yard they had made small training area, “Never know when your life will be threatened and you won’t have back up.” The Umbramancer would say, this once human made vampire sacrificed, essentially to the darkness by his master. Wasn’t that horrible though, they did have 2 other companions, one was perfectly fine with it’s life the other though. “Ya know that’s a little hypocritical you to say right?” This feminine voice echoed behind him. “Cerena’s right ya know, you and her are literally attached and you’d never leave Astra anywhere. Not to mention you say her name and she comes flying.” Dradiro glanced back to see Cerena and Alexa behind him looking at him. They had a point though, “That’s why I insist on training the three of you who aren’t so fortunate to be in my shoes.” He huffed. Cerena nodded, “Ok yeah he does have a point there,” She said but still pointed a shadowy finger at him. “Stop being in dad mode all the time though. You’re so stressed lately.” She had a point, they had only been here a couple months and word had made it that there was war in Versilla. “They need to know how to protect themselves, all of them. Alexa is a witch but what about Trevin and Asher? They’re human but can hold their own with a sword thanks to me.” The demon in his shadow slipped back to where she came then climbed up and around him taking the form of his usual duster, just a mild shade of gray. ‘The brat and the witch have a point Dra, you’ve even been pushing yourself. You’ve not fed in weeks, and yet you are out here pushing yourself just as much as you are either of them. You need to rest’.’ Astra interrupted telepathically to all of them, the sword laying against his hip as always. Cerena let that slide while Alexa giggled, “He refuses when I offer.” The witch spoke up, the men were off reading waiting their turn to train if they wanted. “I’m fine.” Dradiro said grumpily. I am going to be posting tonight after I eat and shower. I’ll put the link here, everyone is welcome. No no, not at all, I was just updating everyone on my status lol. I’ve got bits and pieces to be honest, would like someone to play the one who turned Dradiro considering the first one to make him seems to no longer be with us on the site. As far as a story goes, I’m sure the four of us can put our heads together and come up with something that could be novel worthy. Looking to get back into Roleplaying on the site. Who’d like to help with bringing me back into the world of Valucre? 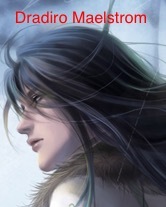 <General Information> Name: Dradiro Demose Nickname(s): Dra Height: 6'1" Weight: 185lbs Race: Vampire (4th Generation)(Human turned Vampire) Occupation: Scholar/Knight/Bounty Hunter Martial Status: Single Sexual Preference: BiSexual but prefers women. Age: 3000 Age(Appearance): 25 Tattoos/Brands: Sleeve tattoo on right arm of an Oriental Dragon, crimson in color. Brand on left forearm of a Rose. Mayan tribal half sleeve from left shoulder to elbow. Black wings on his back, one angelic the other demonic. Religion: Nyx(Goddess of the Night) <Powers/Abilities> Energy Manipulation(Chakra/Ki): Can manipulate his chakra or ki, which ever you wish to call it, to use as an energy blade (Think Goku Black). Umbramancy: The advanced form of Shadowmancy. This gives him Umbral Form, Shadow Leap, Umbra Tendrils. Umbral Form: Becomes a Shadow, makes him incorporeal. Shadow Leap: Advanced Shadow Step, 20 ft. Max distance. Umbra Tendrils: Can pull the shadows from any point within his sight into the form of Tendrils that attack on their own free will. Umbra Communication: Can communicate with the Plane of Shadows (Veil of Darkness) and his Goddess when she chooses. Teleportation: Can teleport 15 feet in any direction as long as he can see the destination. Aura Detection: Can sense auras around him, as well can determine their type. (Human, Vampire, Demon, etc) Supernatural Strength: Strength of 1000 Men Supernatural Speed: Equivalent to Mach 2 After Image: Using his speed, he creates an After Image, and image of himself of where he was. Telepathy: Can speak to a person through their thoughts, depending on their power can even read their thoughts. Astral Projection: Can project an Astral Image of himself to appear in dreams. Hypnosis: Can hypnotized the weak minded through eye contact. Supra Smell: Can track a scent better than most Lycanthropes. Hide Aura: Can make his own aura undetectable. <Weapons> Astra: A Souba, enchanted so that when it connects with a blow the heat equivalent to that of lava seers the flesh. Is also a living weapon. (Dipped in Dragon’s Blood making it indestructible) Timor & Animo: Twin blades fixed onto bracers(retractable). Used like katars, when Timor connects it siphons spirit from its victim as well as causes a wave of fear to wash over its victim. When Animo connects it produces a cold that can reach absolute zero with enough hits. Aero: A dagger that can be wielded without holding it. As if using telekinesis, Dradiro can command the dagger to fly from its sheath and attack. Once freed the dagger will assault its target until commanded to return or its target is dead. <Biography> T.B.D. I’ve returned from a very long hiatus from this site. Looking to get back into the swing of things.